One of our main priorities as parents and caregivers is ensuring our children get the nutrients they need. I make sure my kids receive their daily fruit and veggie quota through smoothies. 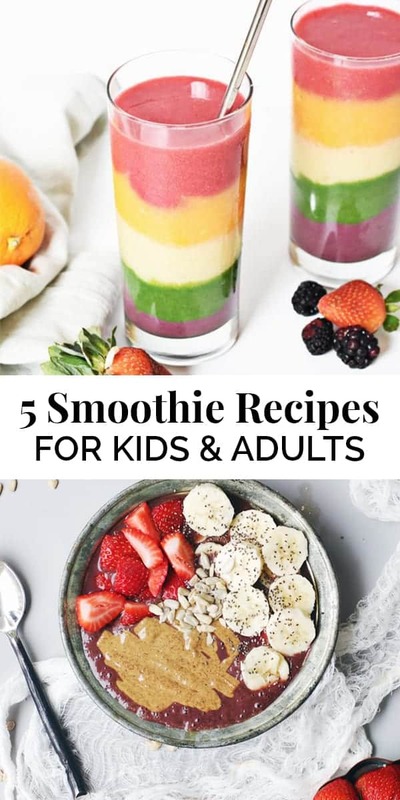 I am excited to share our 5 smoothie recipes for kids (and adults!) that taste yummy. Quality high powered blender. I personally use this Vitamix model, but any high powered blender will do! The key is to make sure you have one that mixes in all those fibrous veggies so the texture is smooth and palatable for picky eaters. Fun cups! Presentation is HUGE for my kids. 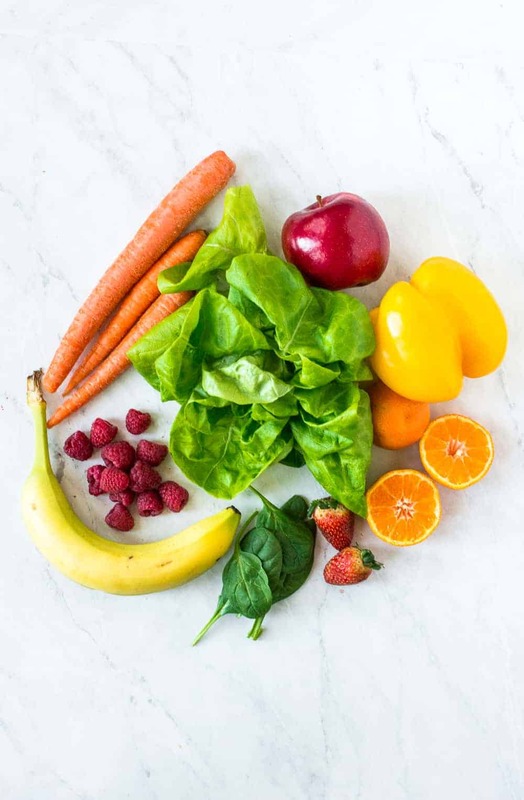 If we make it exciting and surround them with positive emotions around fruits and veggies, they are a million percent more likely to drink up. But really, I would say they are legitimately 50% more likely to drink it when their drink includes a reusable twisty straw. Invest in a set of silicone freezer bags. As I mentioned above, I love and use the Stasher bag brand, but any will do. Pull out all your ingredients and line them up on the counter. Stuff each bag with a serving of each item. All you have to do after that is throw it in the blender and add liquid! Now, I’ve heard a few people say they have kids with banana allergies, and they are looking for ways to make smoothies without banana. Luckily, the fruits below are all sweet enough to make up for the banana sweetness. Especially dates! We elect for non-dairy so it doesn’t add to excess gut inflammation. These are an especially great source of fiber and extra nutrients and minerals! High in antioxidants and vitamins to support growth and immune system. To make the smoothie more cold, add ice as needed. 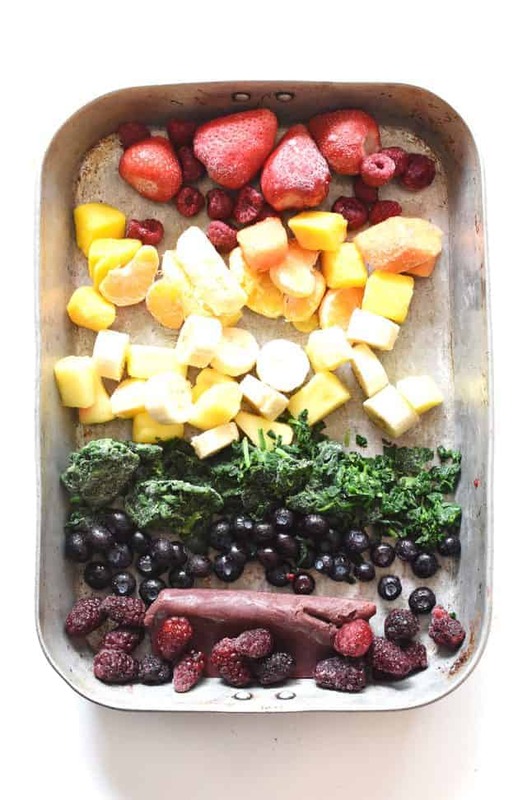 Sometimes I will top it off with a few cubes, even if there are frozen fruits and veggies in the mix. What about adding supplements for kids? I’m so happy you asked! This is where it gets personal to your child’s nutritional needs and health history. In terms of serving size, children are obviously smaller than adults, so their serving size needs to be smaller. I generally put in half the amount I would normally put in my smoothies and have had great success. However, please consult with your child’s healthcare provider if you have specific questions about introducing supplements and serving sizes. Ready for the good stuff? 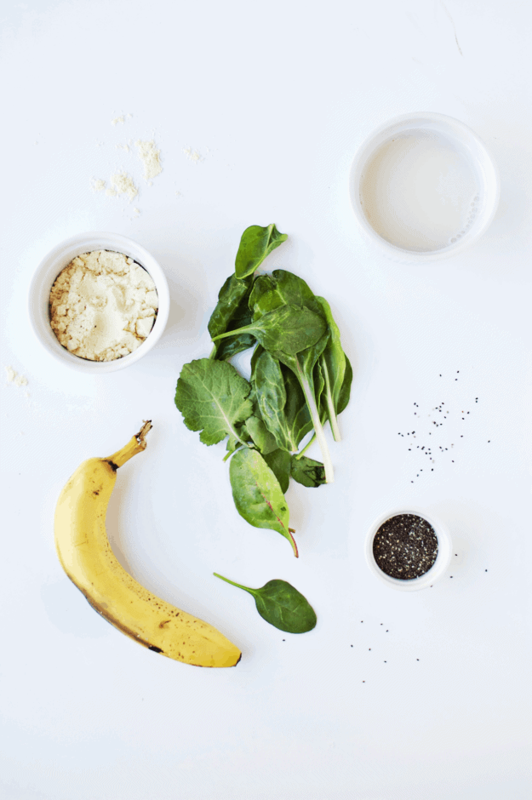 I’ve created the ultimate round up of the smoothies we keep on rotation! BONUS TWIST! A lot of these can be made into a smoothie bowl, again, because children are easily swayed by presentation. And a beautiful, pink colored smoothie bowl can be a DEAL. MAKER. Incredibly fruity and tasty. Doesn’t have any veggies, but you miiiigght be able to get away with sneaking in some celery or super greens powder. Let's get our metabolism burning and make that fat man-go away. 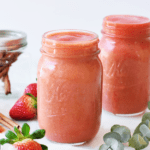 This metabolism-boosting strawberry mango smoothie is a refreshing breakfast or snack. This is the one to make when your kids need a serious dose of greens in their life. Full of vitamins and minerals to keep their bodies healthy and strong! 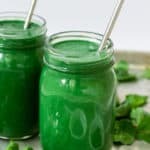 This mood-boosting green smoothie AKA The Happy Smoothie supports feelings of happiness and bliss! The perfect way to start off your day and a smoothie for depression and anxiety. YOU AUTOMATICALLY WIN PARENT OF THE YEAR WITH THIS ONE. I know, it’s a bit involved, but I promise the smile on their faces is worth it when you want to make the smoothie more special. I think these are cool for holidays. 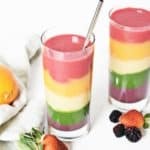 How to make a colorful and delicious rainbow smoothie. There are six all-natural flavorful layers, and it's a fun and healthy smoothie anyone can enjoy. Let me grab you a quote from a mama whose kid wouldn’t eat ANTYHING and then tried this! “Thank you for sharing this recipe! My 3-year-old toddler refuses to eat fruit, so I thought I’d give this a try. He ended up wanting seconds! I cannot thank you enough for sharing this. 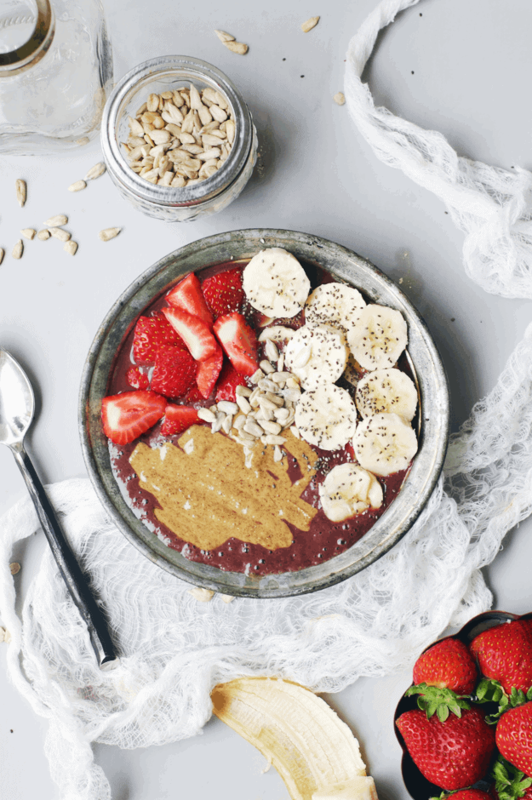 We will be making it again and again!” The proof is in the smoothie bowl, people. 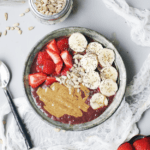 Make this almond butter acai bowl for a healthy breakfast or treat. Vegan, gluten-free. Another fun way to eat a smoothie for breakfast. Especially for the banana and strawberry loving kids! 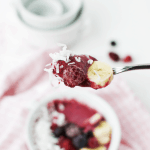 The nice thing about this berry smoothie bowl is the simple ingredients and how quickly it whips up. 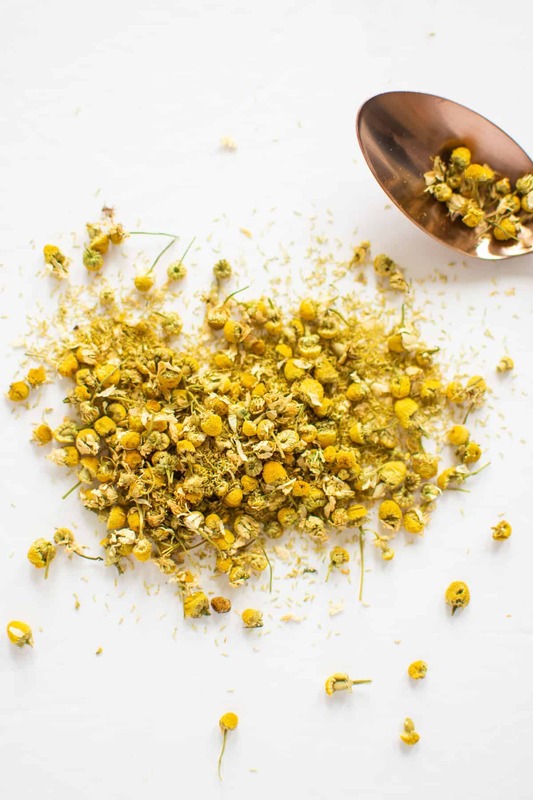 It’s vegan-friendly and doesn’t require a smattering of fancy ingredients you most likely wouldn’t have on hand without an exhausting trip to Whole Foods. What if they still don’t drink it? Shoot for the same amount of sips as their age, then drink it for yourself, and give yourself a pat on the back! The biggest win is that you are advocating for their optimal health and diligently working toward better nutrition. You’re an awesome parent and you’re doing amazing! If you have any super secret smoothie recipes for kids of your own, please share in the comments below! Also, if you test out any of these smoothies, or any other recipe on the blog, please let me know how you liked it in the comments below. I absolutely love hearing from you! You can also FOLLOW ME on Instagram, Pinterest and Facebook, for more nourishing recipes like this, and behind the scenes cooking and holistic wellness tips! Love this content? 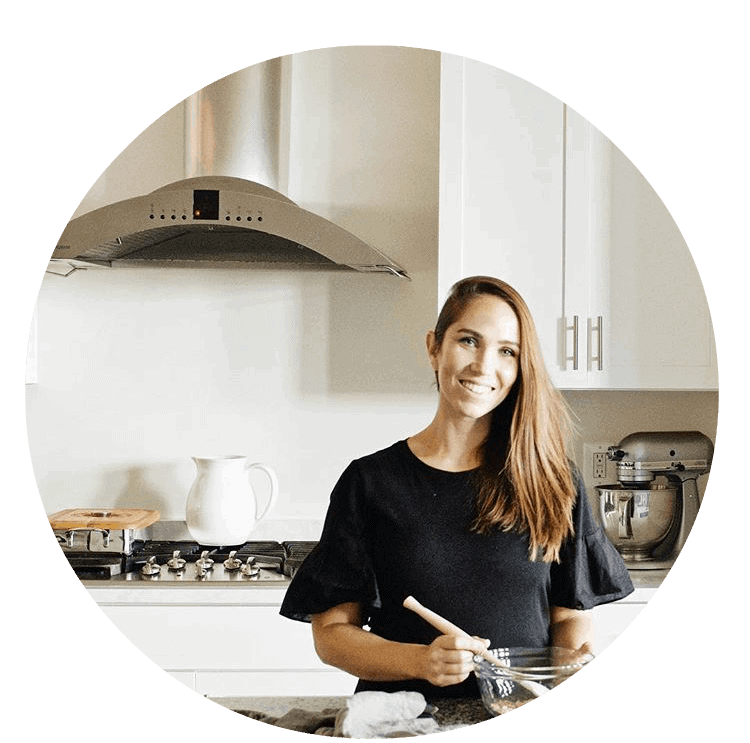 Click here to join thousands of others in The Butter Half community and receive a FREE Daily Wellness Toolkit straight in your inbox!